This fairy tale valley, with bucolic, gentle slopes of tilled land, sits protected by a ring of remarkably well-preserved ancient towns. Here you will discover the foundations of the tradition of rural architecture, born from the happy marriage between man’s ingenuity and the limestone – a plentiful, local natural resource. 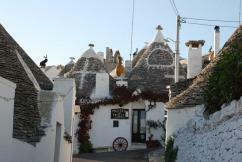 "Stone architecture" here means Trulli, fortified farms ("masserias"), and dry-stone walls. Our itinerary will take you through the villages that contour the small paradise of Itria Valley. These are all just a stone’s throw from one another and can be visited in a single day trip. 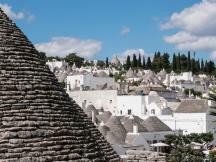 The now famous Alberobello – Unesco heritage site – is truly a fascinating site, while Martina Franca can be considered the architectural showcase of the region with its rococo style. 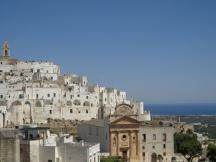 Locorotondo is an enchanting tiny village well-renowned for its white houses and silent alleys. If you are a bicycle rider we can take you through these villages pedaling along the lovely rolling lanes of the Itria Valley. 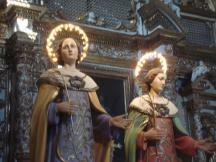 Locorotondo is praised as one of the Most Beautiful Villages in Italy. 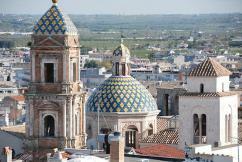 Ostuni, the ‘white city’ offering spectacular panoramas of both land and sea, is one of the towns which best represents this charming region. Just a few kilometers away is Cisternino, is a classic example of “spontaneous architecture,” with narrow winding streets, tiny courtyards and outdoor staircases. 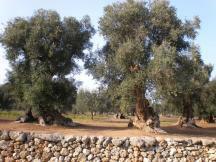 To best enjoy the charm of these surroundings, we will take you on a brief walking tour of the surrounding countryside rich in century-old olive groves, orchards and cork trees; we will follow the trails connecting ancient farmhouses and climb up to the Saint Blaise church, the heart of an ancient monastic community. 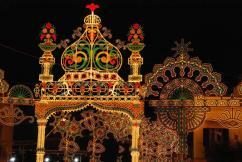 Cisternino is praised as one of the Most Beautiful Villages in Italy. 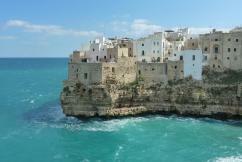 Do not miss a visit to Polignano a Mare, a tiny Medieval town perched on the edge of an ancient river bed. We enter the town through the imposing historic Gate and follow the meandering alleys as they open onto terraces spectacularly overhanging the sea. From here we can reach Monopoli by walking along a rocky coastline that gives way to a series of sandy inlets and beautiful coves. 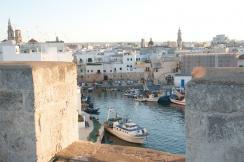 Monopoli was developed in the Middle Age on a prehistoric settlement, and today boasts a still-vibrant urban center, with thriving sea-based economy. 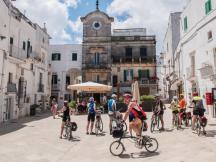 Riding a bicycle we can lead you along gently rolling hills to Conversano, a town well-worth visiting for its rich mixture of art and history.